Black Ops 3 won’t have a campaign mode on Xbox 360 and PS3, and the game’s frame rate will fluctuate between 30 and 60 frames-per-second. 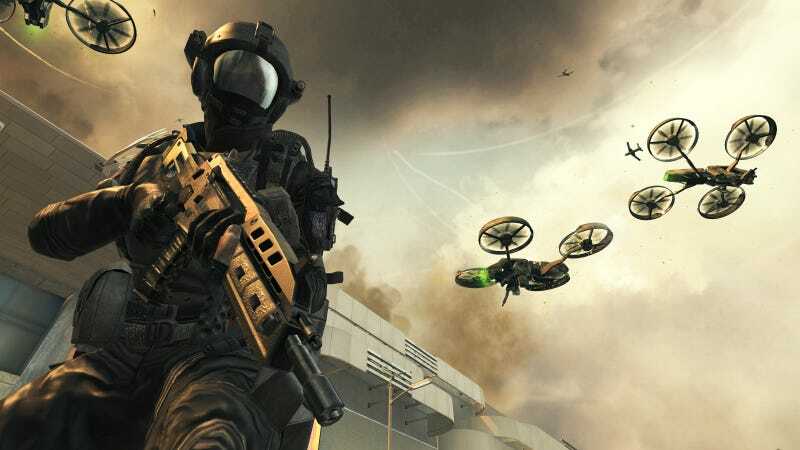 But here’s why they’re making a version for aging hardware: Activision’s revealed there are still 12 million monthly active users for the three-year-old Black Ops II. Damn. On November 6, 2015, Activision Publishing expects to release the highly anticipated Call of Duty: Black Ops III from its award-winning studio, Treyarch. Momentum ahead of launch has been strong and engagement for Call of Duty: Black Ops II grew quarter-over-quarter again to nearly 12 million MAUsB, an unprecedented level for a game that is three years old and only available on old-generation consoles. That number was 11 million in August, meaning the player base has grown, likely driven by people getting ready for the release of Black Ops 3 in a few days. Activision doesn’t break down players by platform, however, so it’s worth noting that we can’t specifically say how this splits between 360, PS3, and PC. Black Ops 3 might not be the optimal experience on Microsoft and Sony’s old machines, but players are sticking with their old consoles, so Activision is, too.